IDEC provide heavy duty long distance SA1U photoelectric (PE) sensors for users who require sensors with long distance sensing in an unforgiving environment. 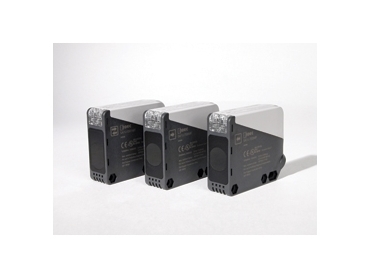 These quality photoelectric sensors are available in four sensing modes such as through-beam, background suppression, diffused and polarised retro-reflective. Long distance sensing ranges from upto 50 metres with through-beam models and 1 meter with diffused models with all models supporting universal supply of 12 to 240 VDC and 24 to 240 VAC in one unit. The SA1U photoelectric sensors range from IDEC utilise spring up screw terminals making for ease of wiring, and any conductor can be used without any need for special cables (M8 or M12). Assembled in a fully automated robotic process, the SA1U photoelectric sensors are UL/c-UL listed, CE marked and IP67 rated, making them ideal for use in wet environments such as bottling and food processing industries, as well as for direct sunlight applications. The SA1U photoelectric sensors can be configured for specific needs using the built-in SPDT (NO/NC changeover contacts) 3 Amp relay and time delay functions. The SA1U photoelectric sensors provide four timing functions to choose from: one shot, ON delay, OFF delay in a 0.1 to 5 second time range as well as a normal mode.